Dr. Peter Lin, MD, CCFP, Family Physician, talks about Diabetes symptoms and the importance of good blood sugar control. 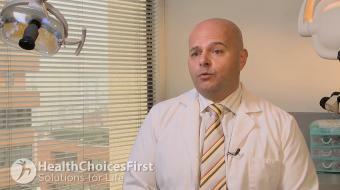 Diabetes Symptoms and Blood Glucose Management Dr. Peter Lin, MD, CCFP, Family Physician, talks about Diabetes symptoms and the importance of good blood sugar control. Most people know diabetes as being high sugars, and basically what happens is that we have insulin that moves sugar into your cell. So the first type, type 1, is where you don’t produce any insulin at all, typically in kids and younger people. And then type 2 is where you still produce insulin but it doesn’t work very well, and so in both situations you’ll have high sugars that are chronically there, and that’s what we know as diabetes. Traditionally, we think of diabetes as urinating too much, so lots of sugar comes out into the urine. So you’re going to the bathroom a lot, and because of that you get very thirsty. So those are traditional symptoms that we’re thinking about. Sometimes you have infections because your body can’t fight it off, you might have more yeast infections, for example, and some people even have numb feet because the sugar affects the nerves. So those are all the different types of symptoms. Many times now we pick it up on a blood test, so we don’t wait for all these symptoms to happen, but traditionally those are the main symptoms. A lot of times we use big words like “hyper”, “hypoglyecemia”. 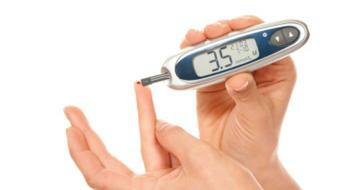 Glycemia just means sugar, if it’s below four, it’s too low, so we refer to that as hypoglycemia. And therefore hyper, just like a hyper child, is too much sugar, so if it’s above six, then that means it’s too high. And if you don’t have enough sugar, then you might get dizzy, you might get shaky, and those are symptoms of too low sugar, and too high sugars you may have confusion, you may have going to the bathroom more often. So those two fancy words, “hyper” meaning too much, and “hypo” meaning too little sugar. So the complication of diabetes comes from sugars sticking in places. So if it sticks in the blood vessels in the back of your eye, then you get eye disease. If it sticks inside your kidney, you get kidney disease. And if it’s in the large vessel areas like stroke, heart attack, and your legs may get clogged up as well, so you might get infections, amputations. Those are all the different complications. We often want to measure how the sugar is sticking, so we’ll measure something called A1C. That’s basically how much sugar is sticking to your blood. The higher that number, the more sugar is sticking to your blood, so therefore there’s more sugar sticking to your eyes and kidneys, and that’s what we monitor to avoid those complications. So in order to maintain good control, we look at the A1C. 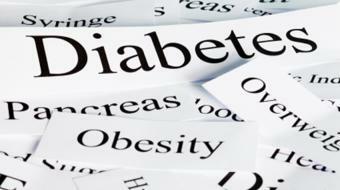 So we want to keep that under good control, and that will minimize the complications of diabetes. And if you need more information, please contact your family doctor for further information, and perhaps even a referral to specialists if you need those referrals. 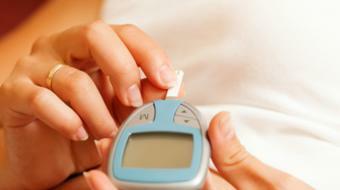 Hyperglycemia is when your sugar levels are too high. This can cause you to feel thirsty and have to urinate more frequently. High blood sugar levels become a problem when sugars in the blood begin to damage or 'stick' to small arteries in the body. This can damage eye sight, kidneys and nerves in the feet and hands. Testing A1C levels is one way to see how your blood glucose levels are doing over a longer period of time (average over 3 months). You are best controlled when you have a reading of 7% or less. Patients do not really need to worry about A1C levels, rather should be focused more on their blood glucose reading each day. Hypoglycemia is when blood sugar levels are too low (fasting glucose test below 4 mmol/L). Having low blood sugar levels can cause patients to feel agitated, shaky, sweaty and have heart palpatations.